Manufacturer & Exporter of Stainless Steel 304LN Round Bars & UNS S30453 Round Rods, SS 304LN Bright Bars, Steel UNS S30453 Rods, 304LN Hexagonal Bar Suppliers in India. Enriched with vast industrial experience, we Neon Alloys are involved in manufacturing and exporting 304LN Steel Round Bar. 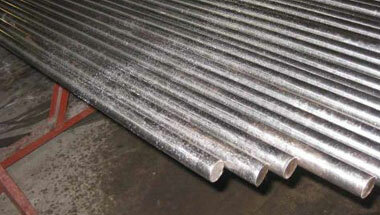 The offered round bar is high on demand in the market for its optimum quality. 304LN This material is with higher tensile strength than AISI/SUS 304L stainless, is mainly used in coal, oil industries, open-air equipment’s, chemical goods ship, which has a high request of resistance for grain boundary attack. These 304LN Round bars are developed with the help of excellent technology and are known for their dimensional accuracy, durability, fine quality, optimum performance, corrosion resistance and excellent finish. They are known for their long lives and are used in diverse industries such as Food, Dairy, Beverage, Paper, Chemical, Cryogenic, Automotive and Aerospace industries etc. Stainless Steel 304LN Round Rods Manufacturer, SS 304LN Forged Bar, Steel 304LN Hex Bar, Stainless 304LN Hollow Bar, Werkstoff nr. 1.4311 Black Bars Supplier in India. Uganda, Houston, Kuwait, Iran, Colombia, Indonesia, Australia, UAE, Argentina, Israel, Algeria, Mexico, UK, Mozambique, Trinidad and Tobago, New Zealand, Canada, Tunisia, London, South Africa, Malaysia, Venezuela, Cameroon, Italy, Iraq, United States, Russia, Vietnam, Sri Lanka, Nigeria, Turkey, Dubai, Sudan, Morocco, Thailand (Bangkok), Saudi Arabia, Jordan, Brazil, Egypt, Germany, Ethiopa, Bahrain, Chine, Kazakhstan, Peru, Azerbaijan, Africa, Ghana, Angola, Democratic Republic of the Congo. Aqaba, Subra al-Haymah, Mecca, Dammam, Dar es Salaam, Muscat, Antananarivo, Kano, Kampala, Abidjan, Beirut, Dakar, Khartoum, Yaoundé, Ibadan, Kolwezi, Addis Ababa, Giza, Douala, Riyadh, Lusaka, Maiduguri, Johannesburg, Cairo, Rabat, Singapore, Dubai, Cape Town, Conakry, Kaduna, Harare, Luanda, Data from the UN, Bethlehem, Lubumbashi, Hong Kong, Zaria, Cairo, Port Harcourt, Tehran, Sharm el-Sheikh, Jerusalem, Benin, Kinshasa, Colombo, Fez, Durban, Mogadishu, Soweto, New York, Alexandria, Ouagadougou, Tripoli, Nairobi, Bulawayo, Doha, Port Elizabeth, Pretoria, Jeddah, Byblos, Bamako, Casablanca, Brazzaville, Accra, Maputo, Freetown, Amman, Manama, Mbuji-Mayi, Algiers, Omdurman, Abu Dhabi, Lagos, Tel Aviv, Istanbul.